Dash, a driving app we’ve previously described as a “Fitbit for cars”, has announced it is expanding beyond consumer-facing products with Dash XL and Dash IQ, two new products designed for enterprise customers. As a refresher, the company is a combination of a hardware dongle and software app that provides drivers with real-time analytics on your driving habits, car health, and vehicle diagnostics. The first new offering, Dash XL, is a product the company built to target truckers and fleet managers. Like its consumer product, Dash XL will consist of a small OBD hardware device that plugs into each truck, recording and sending data back to the fleet managers. The company says that they will first target smaller fleets of ten or fewer trucks (most of which are owner operated), who have historically been unable to afford traditional fleet management solutions. Dash XL will be ELD (electronic logging device) compliant, which will soon be a new requirement for all commercial truckers in the U.S.A. These devices monitor distance and driving conditions to help avoid accidents with fatigued drivers. Dash’s second enterprise product, Dash IQ, is the company’s attempt to take the insight they have collected from their consumer facing product and turn it into an analytics platform for large organizations and government agencies. 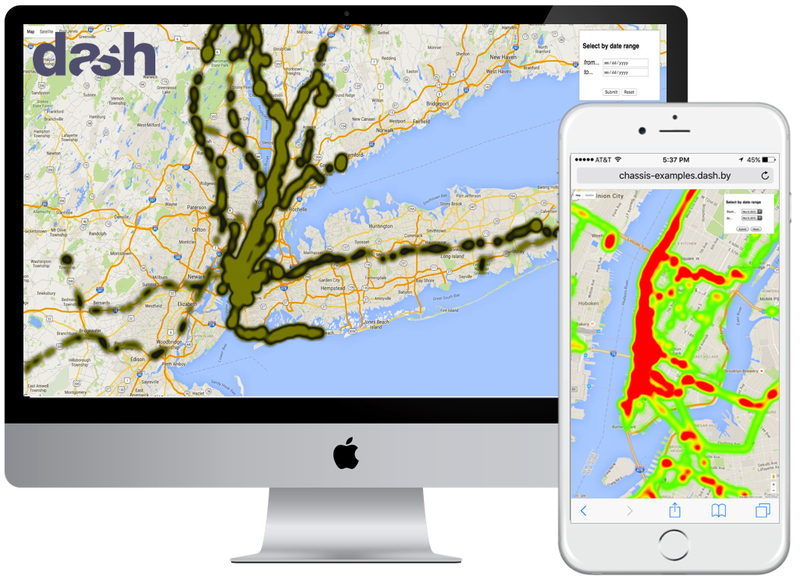 As part of its launch, Dash IQ is announcing a new program from the Department of Transportation and AllState, which lets NY drivers save 30 percent on insurance by installing Dash and demonstrating safe driving habits. Both new features come at a period of fast growth for the company. Jamyn Edis, cofounder and CEO of Dash, said that the company is approaching 300,000 drivers on the platform in 100 countries, which is “more than the top five competitors combined”. With that many daily users collecting driving patterns, speed and pollution trends, and engine alerts, it makes sense that the company would want to create a solution offering that information to the enterprise. Ultimately, it’s not hard to see how different companies ranging from same-day delivery providers like Amazon to car startups like Tesla would benefit from daily driving and traffic habits from 300,000 different cars spread across thousands of different makes and models.